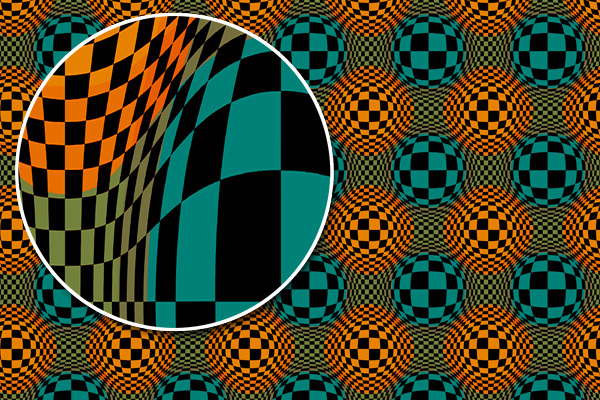 While conducting a children's workshop on Op Art last week, I thought of combining some plaids with traditional Vasarely-esque designs. 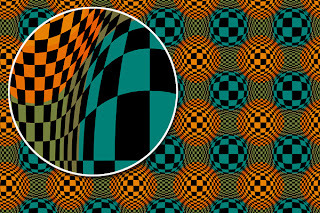 These eye-popping patterns would play nicely with basic plaids and soothing solids to embolden a bedroom (think linens) or open up a neglected nook (think wallpaper). 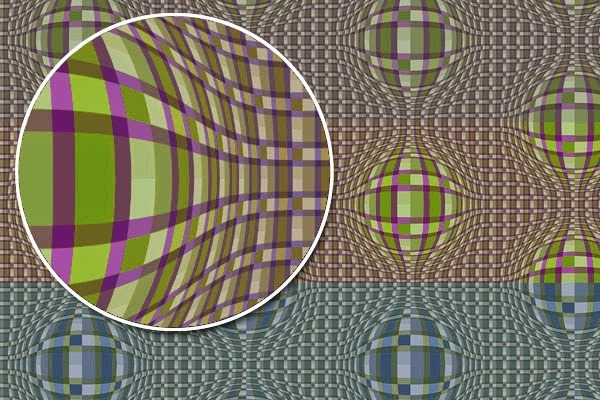 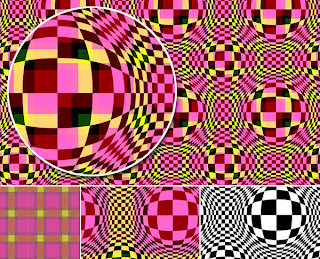 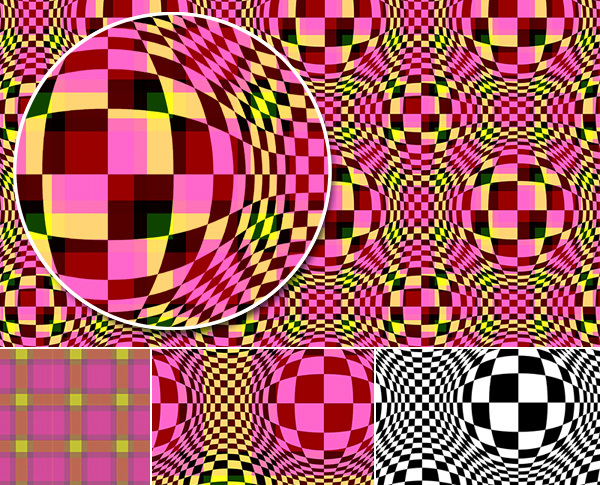 The topmost sample depicts a story of coordinating designs mixing plaids and checkerboard illusions; the bottom sample shows three colorways for the same half-drop repeat.